Actor EG Marshall had a face to be photographed. You could see him in movies and television during the 1950s and 60s, a busy character actor, though never a star. A screen actor’s instrument is his face. Just as a violinist uses a violin, an actor uses his face to focus his interpretation of the character. The subtleties of expression, the micro control of facial muscles and the ability to convey thought though the eyes – these are the tools that a screen actor uses. And it’s especially true in the close up. The movie close up is a fundamental component of film syntax. It was invented in the early years of silent cinema, and if most early silent films look like filmed plays, then the close up was a new addition to the young medium. It brought a greater intensity to the story-telling and a new degree of intimacy with the audience. Click on these photos to see what I mean. The close up is still a part of silent cinema because even in present-day movies, most close ups are silent, the characters do not speak. The essentially visual nature of the film medium comes to the fore as we empathise with the character’s emotions and try to understand their thoughts. Close ups don’t need words. 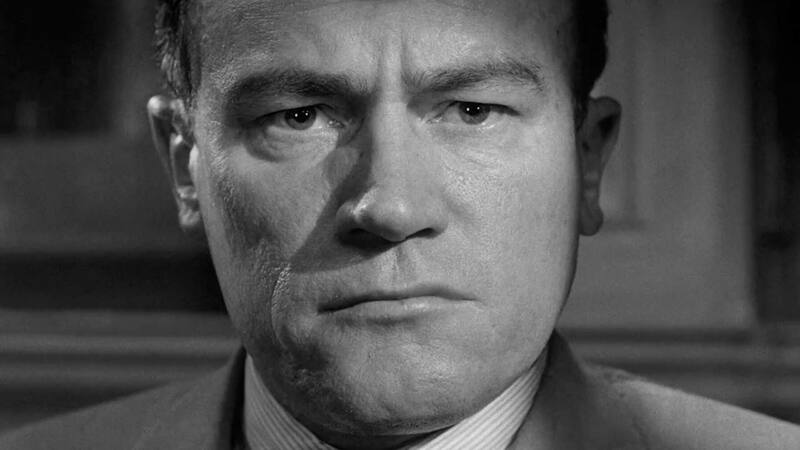 A new video film-essay from Filmscalpel, Twelve Silent Men, demonstrates the power of the close up and the ability of actors to communicate without words. 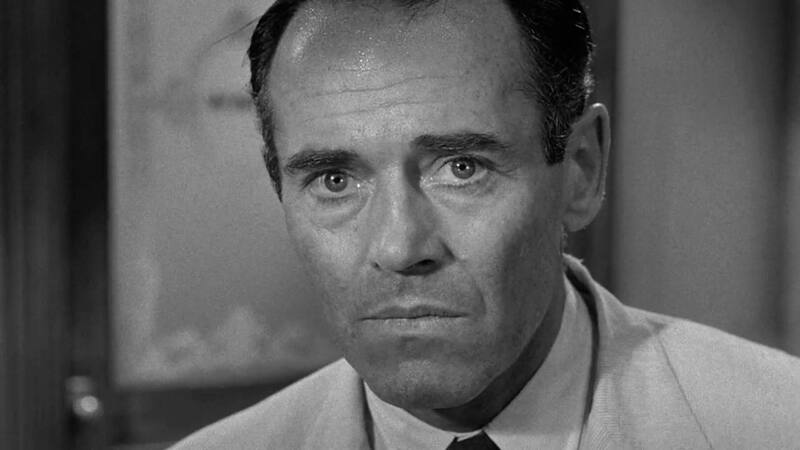 It’s a re-edit of a famous 1957 movie, the wordy courtroom drama Twelve Angry Men, directed by the great Sydney Lumet. The makers of this six minute re-edit have selected only the silent scenes in this 96 minute movie, the scenes where actors are not talking, just being. They have re-constructed the film out of the short sequences of actors looking, listening and thinking. They prove the adage that film acting is really re-acting. Their short film demonstrates Lumet’s clever staging, a master class in mise en scène. The movie doesn’t only rely on the playwright’s words – it is not a filmed play despite the amount of dialogue and the stage-like juryroom. Lumet’s blocking of actors, his strategic camera positions (photographed by Boris Kaufmann) and the terrific performances by the cast show that it’s not a filmed play like those early silents. Instead, as one of the makers of Twelve Silent Men states: “In this eloquent feature film, a perfectly fine silent short is hiding”. This photograph was taken in Manhattan, looking up at the once famous Equitable Building near Wall Street, opened in 1915. 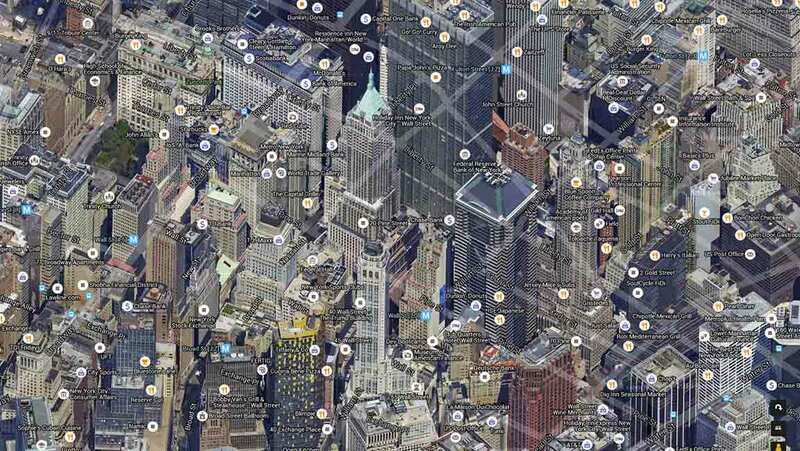 At 40 storeys it was a gigantic building for its day and it darkened the surrounding area. A wave of protest followed and the next year zoning laws were introduced requiring new tower blocks to get narrower as they went higher, letting light reach the street below. They eventually gave us the typical stepped shape of Art Deco skyscrapers, such as The Empire State Building. 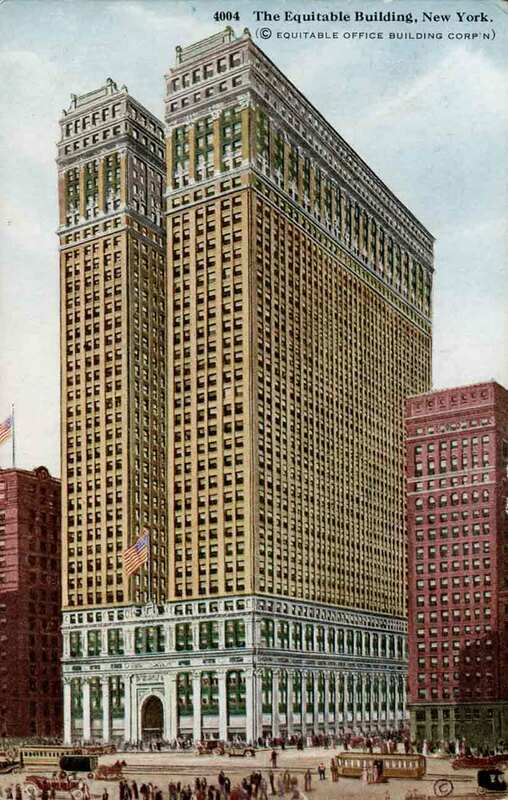 The photograph was taken from under the Trinity and US Realty buildings opposite in the part of Lower Broadway where ticker-tape parades were held. The camera was a Holga, the medium-format plastic toy that has reportedly been discontinued. It’s simple lens distorts at the edges, as you can see in the lower right corner, but overall it’s a serious camera – the signature wide-angle square image has a particular softness that’s very appealing. 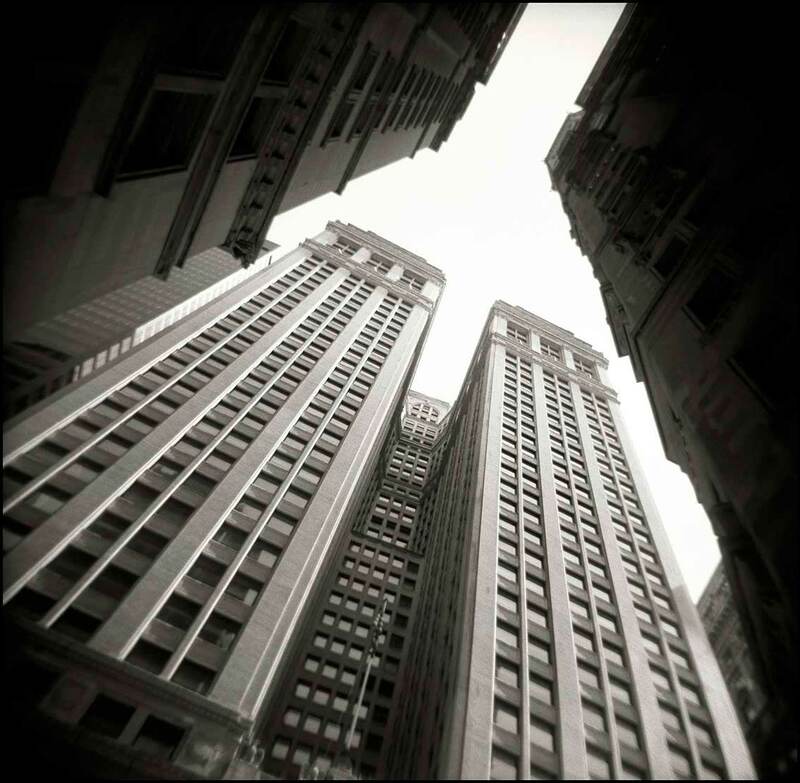 The photograph of the Equitable is an extension of my Vertigo project, a chronological series showing the rise and rise of New York buildings. You can see my other work with the Holga in The Modern Idea, also on my website. 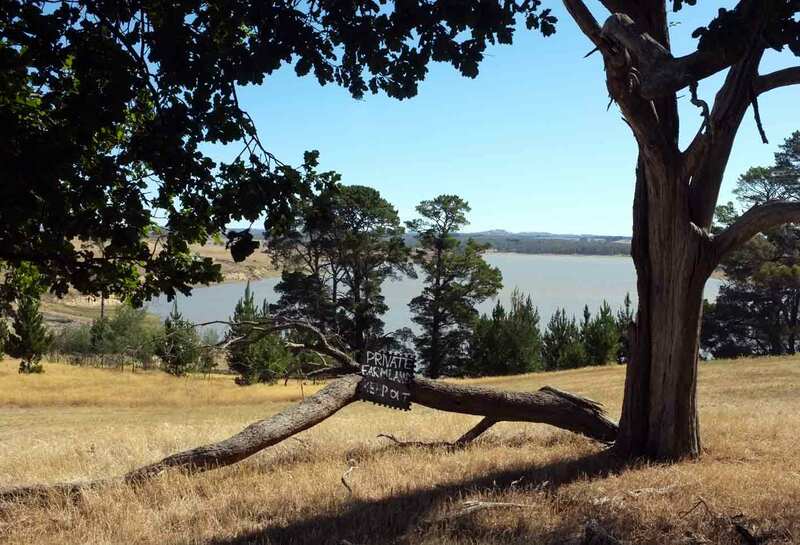 South Australian photographer Che Chorley has had the distinction of being featured on the popular photography blog Petapixel. Seen by millions every year, Petapixel is amongst the top rating blogs in the world, in any category, so having your work presented there is an event. Chorley specialises in photography about water- surfing, diving, swimming, anything wet. 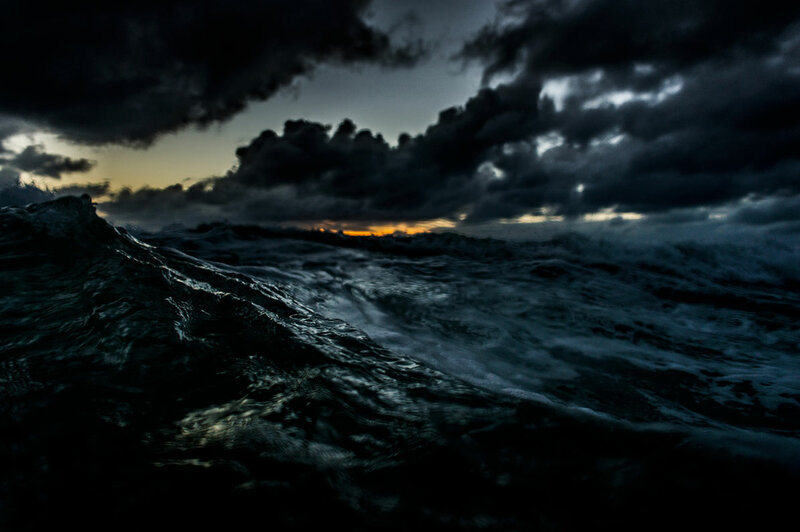 His image of a threatening ocean ‘Breathe for Me’ was recently shown in the Bowness Prize at the Monash Gallery of Art, another distinction. Here is my review. 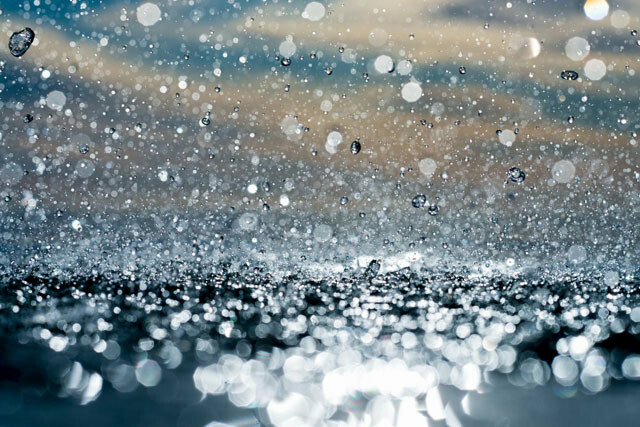 The Petapixel article focuses on Chorley’s seascapes,.”Each shot is captured with the surface of the sea at about eye level, and each mainly shows the ocean, horizon, and sky.” It presents 25 of these images. You can read the article here. Alphonse Eugène Hubert was a young architect in 19th century Paris and he had some bad news for Louis Daguerre. I so much doubt M. Daguerre’s anticipated results that I find myself almost tempted to announce that I too have discovered a process for obtaining the most perfect of portraits, by means of a chemical composition which fixes them in the mirror at the moment one looks at oneself! Hubert was unknown to Daguerre but he turned out to have enough knowledge of the new science to force Daguerre to employ him as an assistant. They worked together for some years until Hubert’s early death in 1840, the year after the invention of photography was announced. What Hubert already knew and what subsequent contribution he made to our medium is unknown, any records Daguerre may have kept were lost in his 1839 studio fire. He was clearly useful to its birth, but we’ll never know the details. 1802 Thomas Wedgewood, son of the famous potter, made camera photographs on silver but could not fix them permanently. 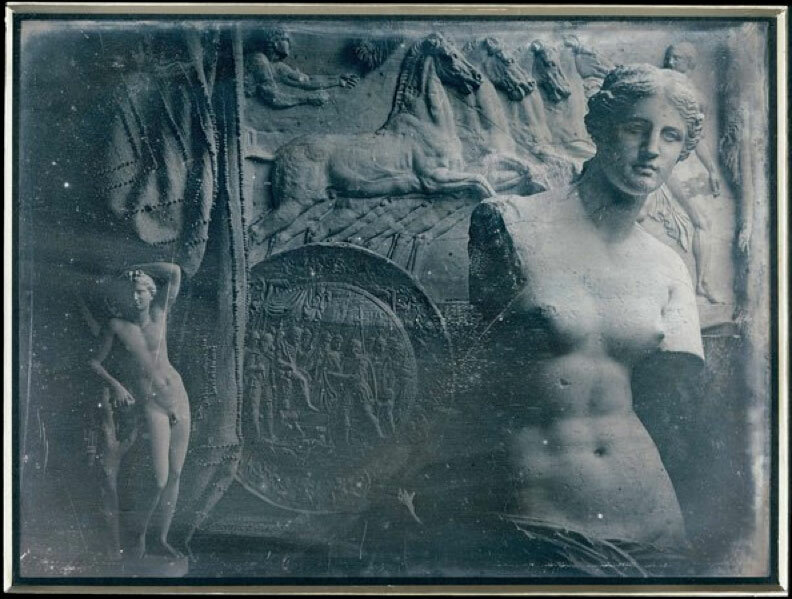 1826 Joseph Nicéphore Niépce made a crude camera photograph on bitumen then went into partnership with Daguerre. 1834 Hercule Florence, a French painter and inventor living in Brazil made some apparently successful camera pictures on silver nitrate but did not publish enough details. 1835 Fox Talbot, an introverted member of the English rural gentry, made a fairly successful camera photograph in 1835 but then lost interest in the process until Daguerre’s shock announcement in 1839. 1839 Hyppolyte Bayard, a public servant in Paris, announced his Direct Positive process, claiming priority over Daguerre. Not having social connections, he was largely ignored. January 7 1839 the date that really counts, the first official, verifiable and public announcement of the invention of photography, when members of the French Académie des Sciences were shown Daguerreotypes for the first time. And yes, they liked it, they were impressed. 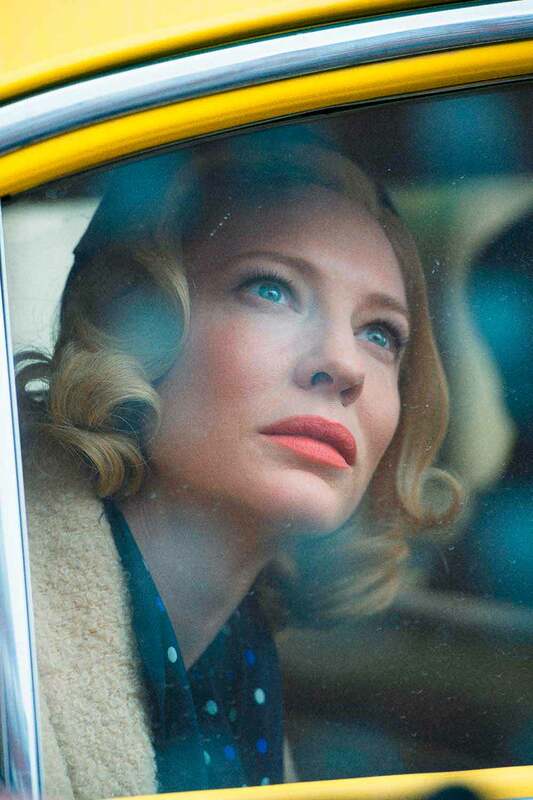 Todd Haynes’ new movie Carol is based on a Patricia Highsmith novel about a love affair between two women in 1950s New York. 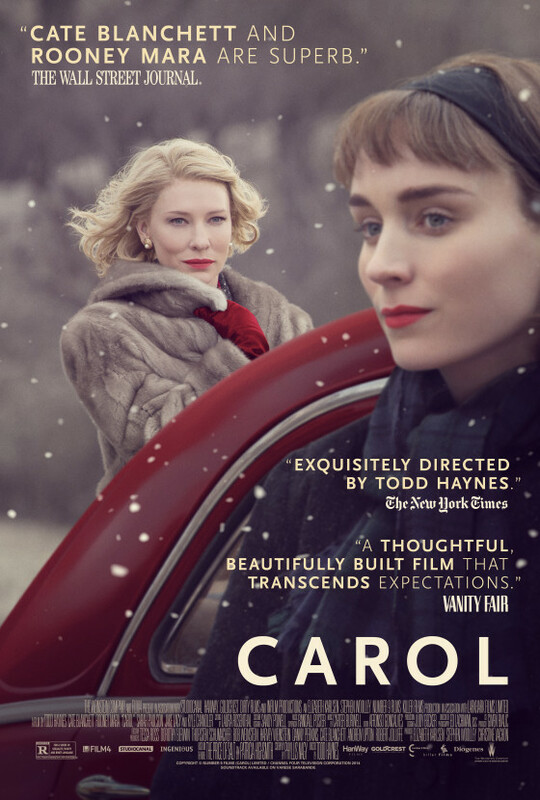 It’s played by Cate Blanchett and Rooney Mara and is getting great reviews. Haynes’ films always have a strong visual intelligence, think of the stylish look of I’m Not There or Far from Heaven. 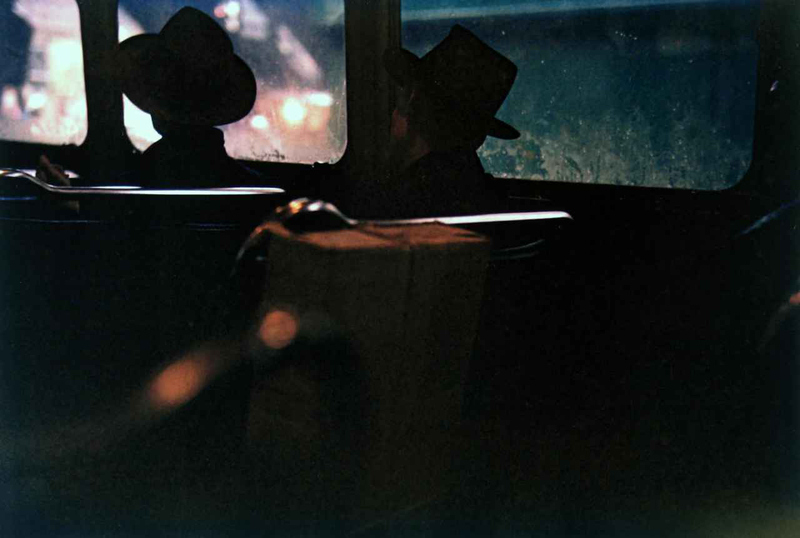 For Carol he said he was influenced by the still photography of Saul Leiter, the veteran New York photographer whose beautiful Kodachromes of the city in the 1950s have recently gained popularity. 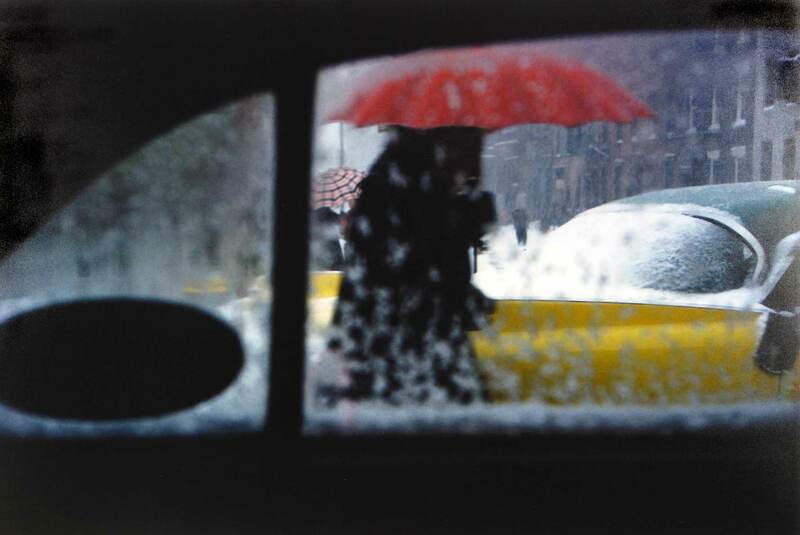 Leiter wanted to be an abstract painter and this ambition gave his photography a distinctive style. He shot into mirrors and windows to catch reflections, used shadow, blur and negative space, or shot through obstacles, all to create a dense, layered vision of the city. 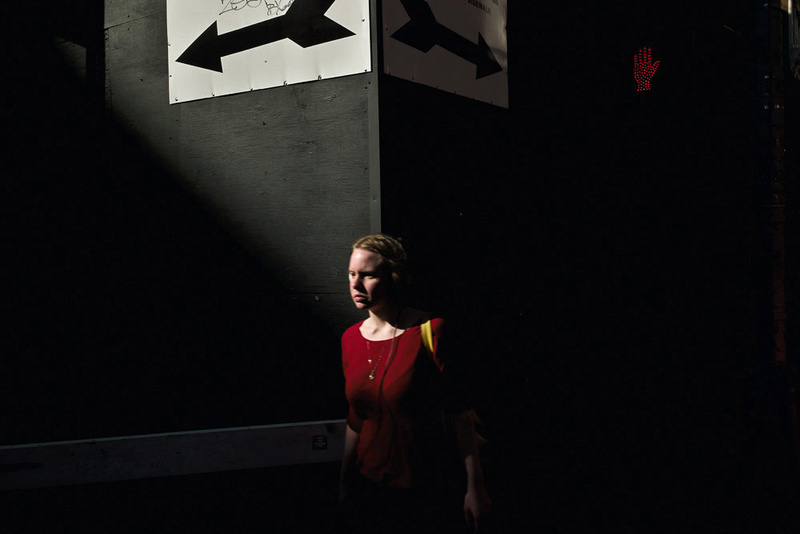 His pictures are complex and ambiguous and have a lush painterly feel. Leiter shot Kodachrome slide film but he wasn’t able to print it at the time. Transparency film was very expensive to print until the digital age so he mostly projected them to groups of artists – no way to gain wide recognition in the visual arts. Now that his early work is being digitally printed it is being seen widely and is gaining great admiration. There are numerous exhibitions and books in circulation and he is now seen as a significant photographer of mid-century Manhattan. 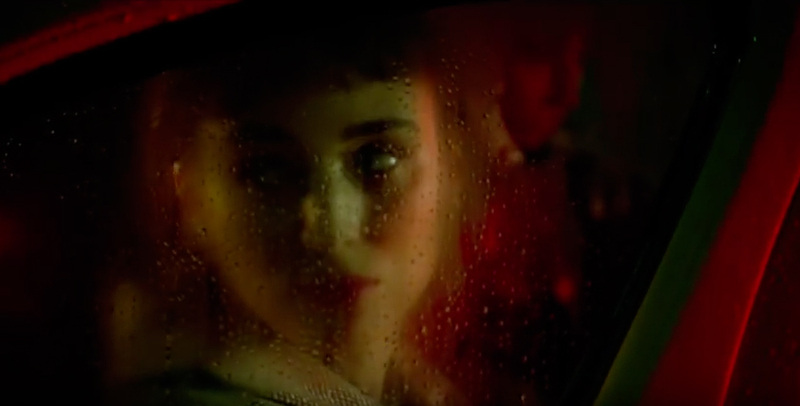 Director Todd Haynes and his cinematographer Ed Lachman researched the period setting of Highsmith’s novel and discovered that Leiter’s images were a perfect fit. Highsmith’s tense and ambiguous world found its analogue in Leiter’s shifting, dissolving vision of New York. 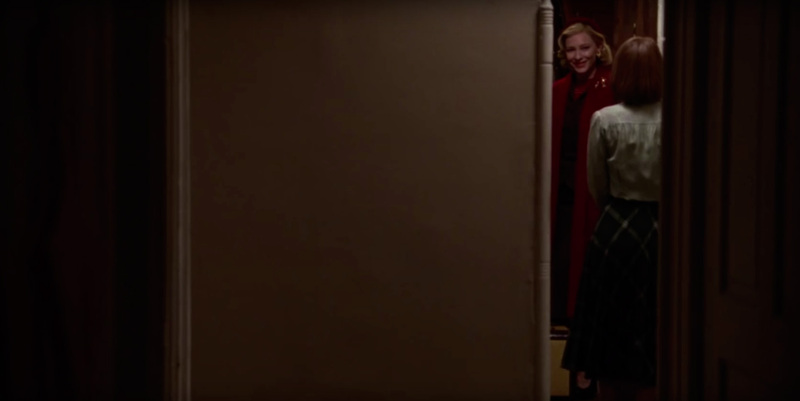 The movie Carol is in current release, but for a preview, look at the beautiful trailer.